Our landscape is changing. These pictures were taken at the weekend and you can already see the ice caps have retreated. Pekka-poika looks out across the snowy wasteland beyond the catio - this too should melt shortly. Well, in about three weeks or so. But the Golden Glacier has gone. Poo Corner is exposed. 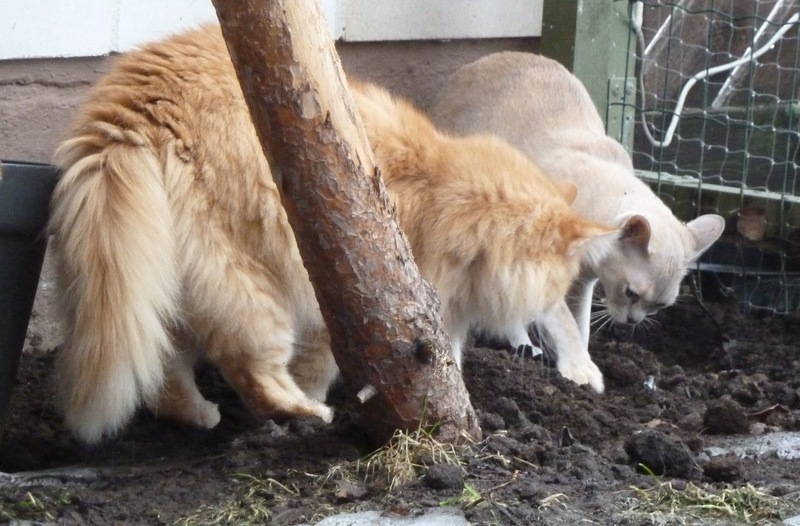 Stran-veli and Jaava-ninja are gently exploring it. 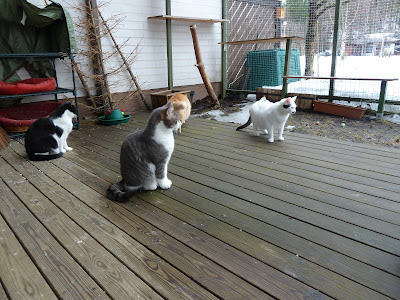 Unfortunately this means we have a muddy expanse which Äiti does not want us to bring inside on our paws. 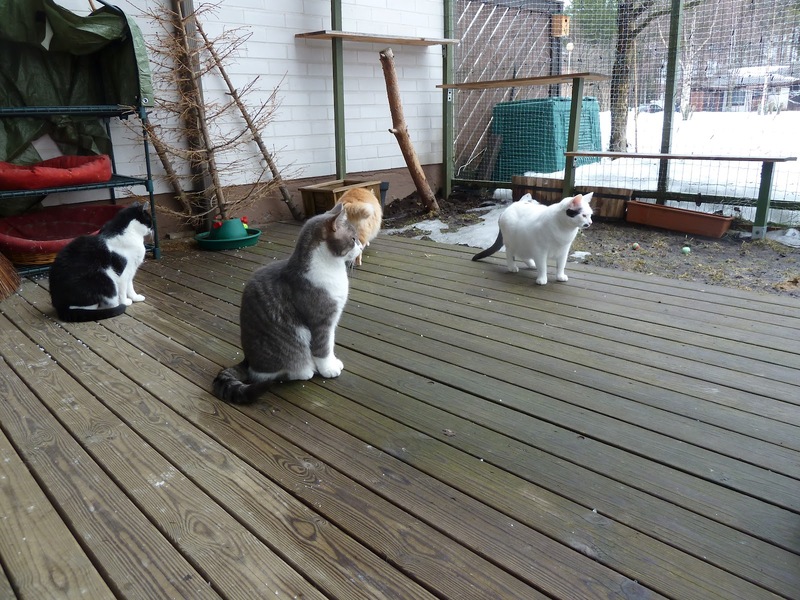 So we want spring to hurry up and the grass to grow so we can really have a great time outside. It's no fun being a butterball and jumping in mud, hehehehe. That's still alot of snow! Some more of those hot pics of Pekk-poika will help in melting it! We shan't show the sisfurs as it is to wanton fur their tender eyes! Bahahahaha! Wow! You do still have a lot of snow out there don't you? If you purr really loudly, will it make the grass grow faster? 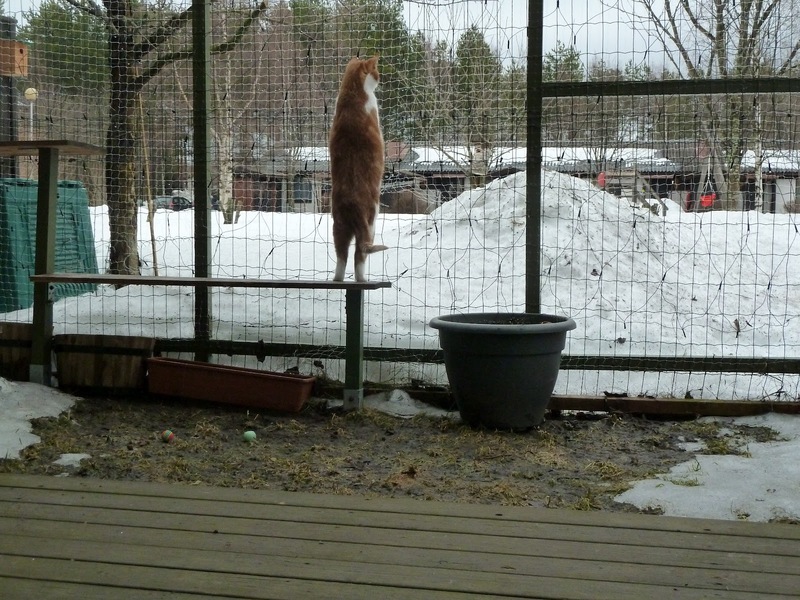 We like the picture of Pekka-poika stood upright and looking out across the snowy wasteland. We have lots of mud here too but it is caused by the torrential rain we have been getting, not snow.